The Alldocube X is one of the better tablets, it is very thin just 6.9mm, Light with than alloy unibody. The key stand out feature, of course, is that fully laminated AMOLED screen only one other tablet uses it Samsung’s own Tab S4. Its crowdfunding Indiegogo campaign is already over successfully, so you can buy it from Amazon stores and some other retailers since January. ALLDOCUBE X is one of the most powerful and refined tablets coming from a Chinese brand so the expectations are surely quite high. 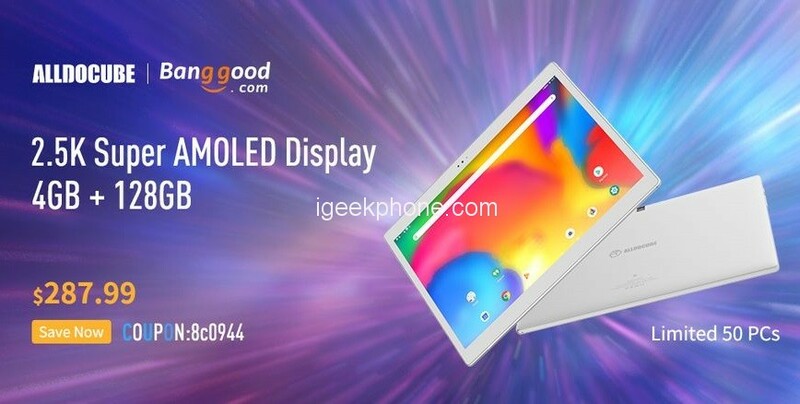 The tablet is offering 10,5-inch AMOLED display with 2.5K resolution, AKM HiFi sound chip, MT8176 processor, 4GB RAM, 64GB of internal storage, microSD slot, USB Type-C port. 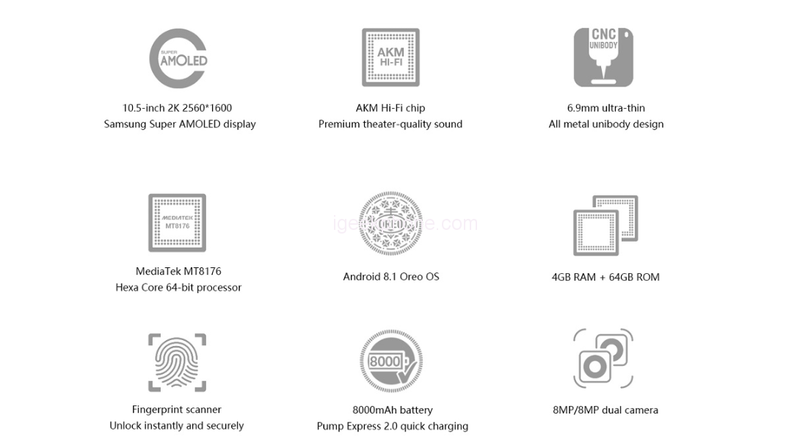 It is powered by an 8000mAh battery capacity with PE+2.0 quick charging, ultra slim metal builds with 6,9mm thickness, dual-band Wi-Fi, Bluetooth 4.2, 8MP+8MP dual cameras, only 500g weight, fingerprint scanner, and Android 8.1 Oreo as the system. Of course, the price is higher in retail stores than on Indiegogo. For that reason, Banggood is running a Flash Sale during which you can use coupon 8c0944 to get it for just $287.99! The coupon is valid for just 50 units so you better hurry as you have the chance to grab a 4GB RAM/128GB storage Android 8.1 tablet with a Super AMOLED display. More information about the tablet is, of course, available also on the official website.